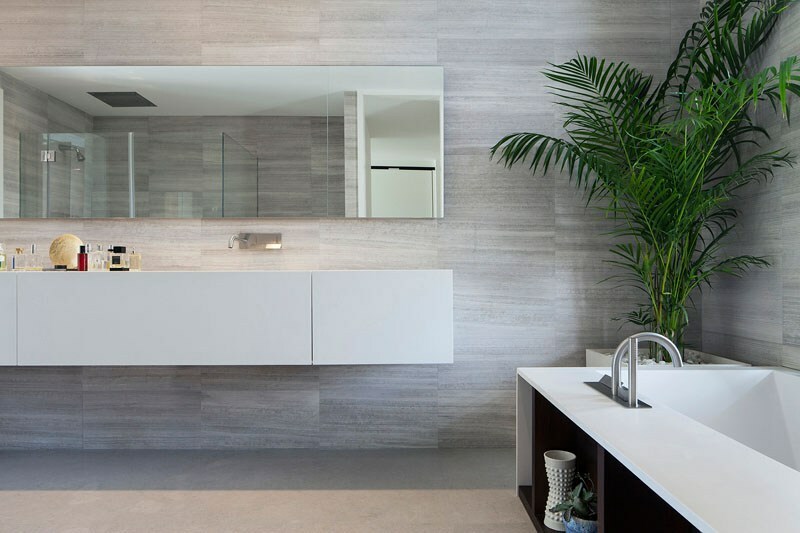 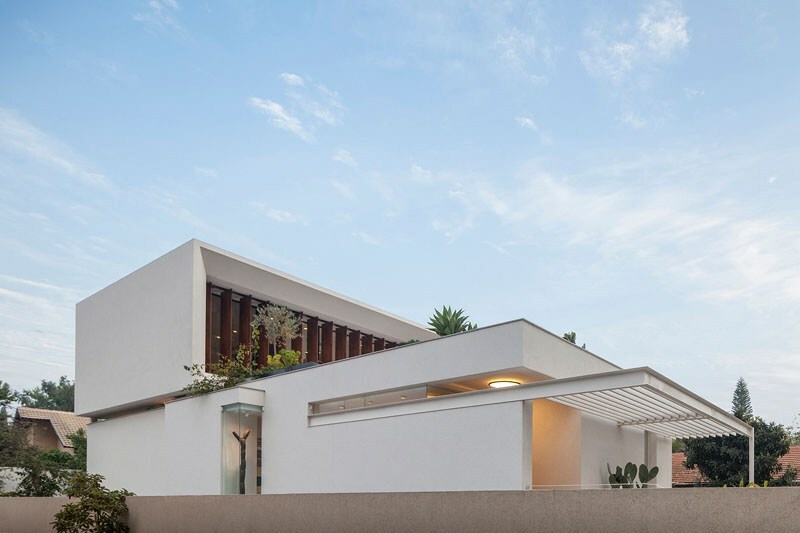 If Apple’s Jonathon Ive was contracted to design a home, it might look something like this one, envisioned by Paz Gersh Architects in Ramat HaSharon, Tel Aviv. 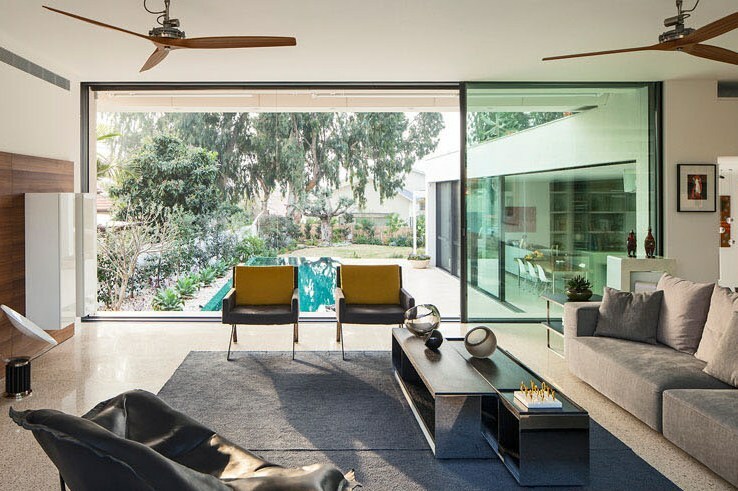 Unlike similar homes, there are no steps leading down from the living area to the pool, making for a seamless transition from inside to outside. 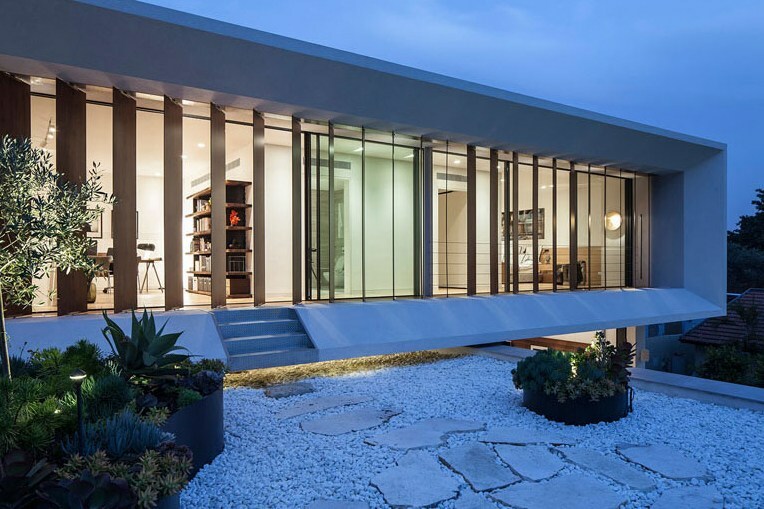 Continue reading for more pictures and information.”Additionally, the unique L-shaped layout, large glass sliding doors and open floor plan further harmonizes the indoor/outdoor spaces, while teak panels throughout the rooms provide shade and privacy as needed. 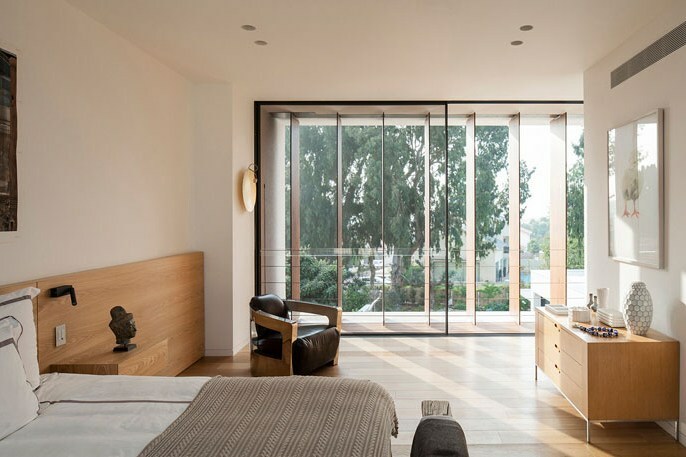 On the second floor, the master bedroom opens up to a rooftop garden, complete with stepping stones and steel planters while the living room encompasses floor-to-ceiling bookshelves,” according to Hype Beast.